It’s sad but true that people who have been brutalized often end up being brutalizers of others. It happens in the U.S., it has happened to many Israelis, and it happens throughout the world, including the Arab and Muslim worlds. While we support the right of the Palestinians to their own national self-determination and the right of Jews to their own national self-determination, we’ve never romanticized the Palestinian people or the Israeli people (or for that matter, any other national entity including the U.S., U.K. etc.). Jim Sleeper asks: Did Democrats Do Enough to Stop Kavanaugh? After Kavanaugh’s nomination, Jim Sleeper postulates that the Democrats did quite as much to widen the civic and political vacuum into which Trump has swept as did the follies of conservatives. Rabbi Phyllis Berman shares her reflections on the #MeToo movement in powerful support for Dr. Christine Blasely Ford. Yossi Khen and Jeff Warner take a closer look at the tipping point that prompted Democrats to start examining Israel’s actions with respect to their principles, and what’s being done today to drive change. Say NO to Kavanaugh–action on Monday in D.C. The nonviolent protest will gather at the Supreme Court at 8:30 am on Monday. Religious extremism comes in many forms. Sometimes it clings to arcane doctrines despite mountains of scientific evidence. Such was the case during the famous Scopes Monkey trial of 1925. John Scopes was slapped with a $100 fine for teaching evolution in Dayton Tennessee, violating a law making it a misdemeanor to “teach any theory that denies the story of the divine creation of man as taught in the Bible, and to teach instead that man has descended from a lower order of animals.” Even though Scopes lost the trial, his defense attorney Clarence Darrow successfully put prosecutor William Jennings Bryan on the stand and demonstrated the tortured and impossible logic of scriptural literalism. This past week the Jerusalem District Court decided that the Mitzpeh Kramim settlement—which no one denies was built on private Palestinian land, and no one contests that that land was taken from the original Palestinian owners by extra-legal means—can remain in the hands of the current settler residents. The reason the court gave was that the deal that was made between the settlers and the World Zionist Organization, who had been given ownership over the land by the army, was executed in “good faith”—tom lev in Hebrew, pure or whole heart. “Good faith” as we shall see, is nothing more than a legal term of art rather than a phrase which describes the actual intentions of any of the parties between the initial Palestinian owners and the current Jewish settler owners. It being the week before Rosh Hashanah, the Jewish New Year, the idea of good faith or pure heart is in the front of peoples’ minds. Maimonides in his Laws of Repentance writes: “Anyone who confesses verbally but does not commit in their heart to abandon [their previous actions], behold this is like one who ritually immerses [in a mikveh for purification purposes] and is holding vermin [which is radically impure] in their hand, and the immersion is not effective until they throw the vermin away.” This powerful illustration sets in stark relief the type of “good faith” that the court was satisfied with. Eric Kandel explores the effects of aging on memory and the brain. Tikkun grieves and mourns the passing of the founder and leader of Israel’s peace movement, Gush Shalom, Uri Avnery. Until the last moment he continued on the way he had traveled all his life. On Saturday, two weeks ago, he collapsed in his home when he was about to leave for the Rabin Square and attend a demonstration against the “Nation State Law”, a few hours after he wrote a sharp article against that law. 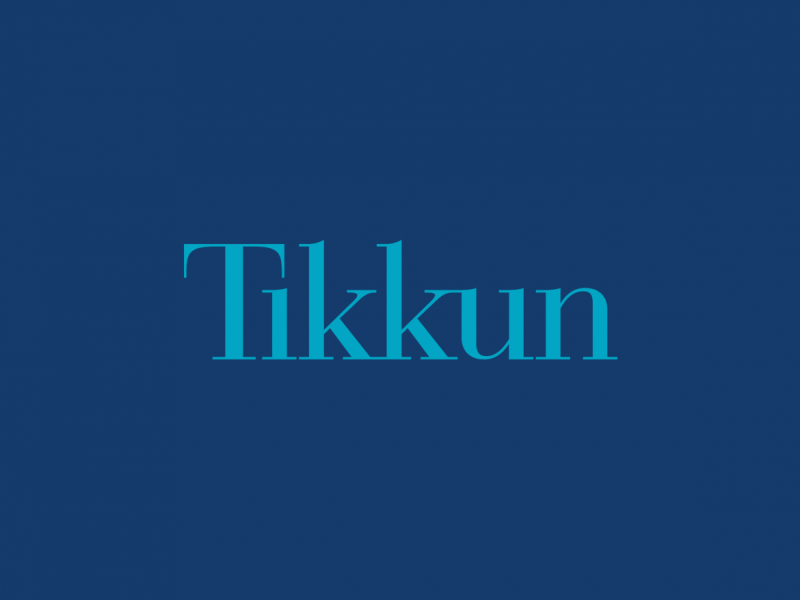 For several decades, Avnery was a columnist for Tikkun magazine, sharing his wisdom and insights with our Tikkun readers. When I met with him in Tel Aviv I found him to be a wise and passionate and sensitive human being, capable to seeing the humanity of the people who criticized him and capable of seeing the faults of his allies in both Israel and Palestine. Avnery devoted himself entirely to the struggle to achieve peace between the state of Israel and the Palestinian people in their independent state, as well as between Israel and the Arab and Muslim World.